Which is the easiest way to make your bankroll last longer? If you feel like you’re walking into a bank to make a deposit every time you spend a night at a casino, there’s a good chance you’re not making your bankroll last. Of course, you want to win. But even if you approach casino gambling as entertainment (which is always a good idea), it doesn’t mean that your bankroll will stretch as long as you want it to. So what’s the trick? How do you make sure your night at a casino or your evening of online casino fun doesn’t turn into a quick 11 minutes of thrills followed by hours of boredom? We’ve got a powerful checklist for you. While today’s tips don’t necessarily tell you what to do when you’re playing casino games, they we’ll tell you what to do before you play and how to approach the time when you’re not playing. So, you’ve established your bankroll. You know that you can afford to gamble $500 a month based on your income and budget for entertainment. This is money that, if all doesn’t go according to plan, you could afford to lose. Now you’re heading to Las Vegas for a quick getaway. And you’re going to be there for 4 days. You’ve decided not to gamble for two months so that you can enjoy more gambling in Sin City. Smart. So, you’ve got $1,000 to gamble with. But you’re going to be there for 4 days. You could bring all the cash with you each time you hit the casino. Or you could be smart about it. Your best bet is to divvy up the cash into days. Bring four blank envelopes and drop $250 into each one. 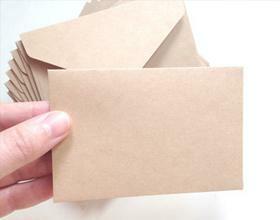 Label each envelope with one specific day. Then, drop the envelopes in the safe. Each morning, grab your envelope, open it up, and drop the cash into your wallet. That’s your gambling money for the day. No more. No less. You can apply the same concept to playing online. Instead of envelopes of cash, toss a bunch of prepaid credit cards into envelopes and mark each one with a “Do not open until” date. What’s more exciting to watch: A horse race where two or three jockeys are neck and neck? Or one where there’s one clear winner and everyone lags behind? Of course, if you’ve taken the clear winner, you’ll probably be pretty stoked about the victory. But as a spectator, the neck and neck race is usually more exciting. This isn’t just a pie in the sky statement. In several psychology papers published over the last few decades, experts have concluded that near misses give the illusion that a player is in control. For example, betting on 36 and having the number 35 come up might give the payer the illusion that he almost won. However, the probability of hitting 35 is likely the same as hitting 11. The player who just missed winning actually lost. Period. Plain and simple. But near misses can actually affect your decision making. Thinking you almost won might lead you to gamble longer. By understanding that there’s no such thing as almost winning — by understanding that that a loss is a loss — your bankroll will last longer when you do hit those losing streaks. If you’ve ever marveled at Roulette players who swear that a simple betting system has made them a fortune, you’re not alone. 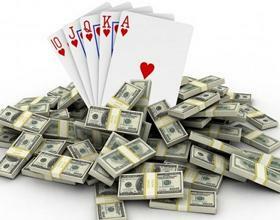 There are countless casino betting systems that players all over the world swear by. These same betting systems are also referred to as garbage by others who have tried them. 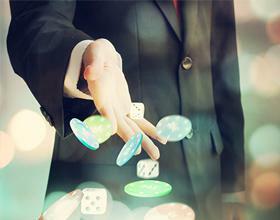 If you’re new to betting systems, they’re fairly easy to understand. While they come in different forms and require varying degrees of betting patterns, a basic betting system involves raising your bet when you lose and reducing it when you win. On the surface, this type of betting methodology seems lucrative. Simple math shows you that you will always come out on top if you eventually notch a win. But that’s not the whole story (more on that in a second). Let’s look at an example. Let’s say you bet $1 and lose. Your next bet would be $2. Lose that and your next bet would be $4, assuming you’re doubling your bet every time you lose. Lose that bet and your next bet is $8, then $16, then $32, $64, and $128. At this point, you’ve already placed bets totaling $255. Now if you win that $128 bet, you’ll be sitting with $256. You now have a profit of $1. Theoretically, you’d eventually hit a win. Except for one thing. You don’t have an infinite bankroll. By understanding that it’s virtually impossible to make a betting system work in your favor, you’ll be far less tempted to try one. When you think of your bankroll, you think of money. How much can you afford to lose in a given week or in a given month to gambling? This is an important factor to consider, but it’s not the only bankroll you should take into account. It’s important to figure out what your psychological bankroll is. Sure, you might be comfortable losing $500 a month to gambling. Perhaps that $6,000 in gambling entertainment per year isn’t that much of a big deal financially. But can you actually stand to lose? We’re not talking about a financial hit. We’re talking about a general psychological hit. Some people just can’t handle losing money in general. A casino player who makes $100,000 a year could have a really hard time losing $100 at a casino while someone making $50,000 might think that a $400 loss at a casino is no big deal. Both players might have worked their casino loss into their entertainment budget, but the player making $100,000 might be psychologically hurt by his smaller loss even more than a player who makes half that income. After you’ve figured out what you’re comfortable with losing financially, ask yourself whether you’re actually OK with losing that money on a psychological level. If the answer is no, make some adjustments. While you may end up with a smaller budget, taking the time to think about your psychological bankroll could actually help you choose the right stakes at the casino, and ultimately make your bankroll last longer. When you find your way onto the casino floor, there’s one important thing to remember: The tables and slots aren’t going anywhere. To make your bankroll last longer, don’t be afraid to take frequent breaks. Even if you’ve only played three hands of Blackjack, there’s no shame in getting up and walking away. In fact, you can ask the dealer to hold your spot. Go grab something to eat. Go use the restroom. Or just take a look around and see what other players are doing. 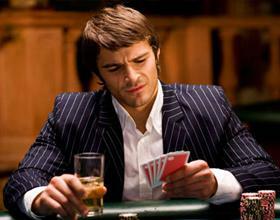 Watching other players win and lose at the tables will satisfy your appetite for excitement while costing you nothing. If you’re the type of casino player who easily loses track of time, consider setting your watch to take a break every 15 minutes or so. Casinos are notorious for not having any clocks on the floor. It’s one of the tricks they use to fool you into staying longer. We hope you found these tips useful—and we’ve got one more for you. 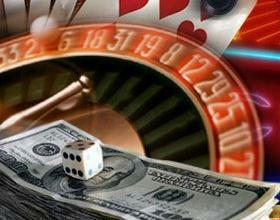 While you can’t play free casino games at a live casino, you certainly can at online casinos like Palace of Chance. You can make your bankroll stretch as long as you want by playing for free. Of course, you won’t be able to win real money when you’re playing for pretend money, but you will be able to practice most of the tips we’ve outlined today. You can play right now with your free Palace of Chance account, so create one now.